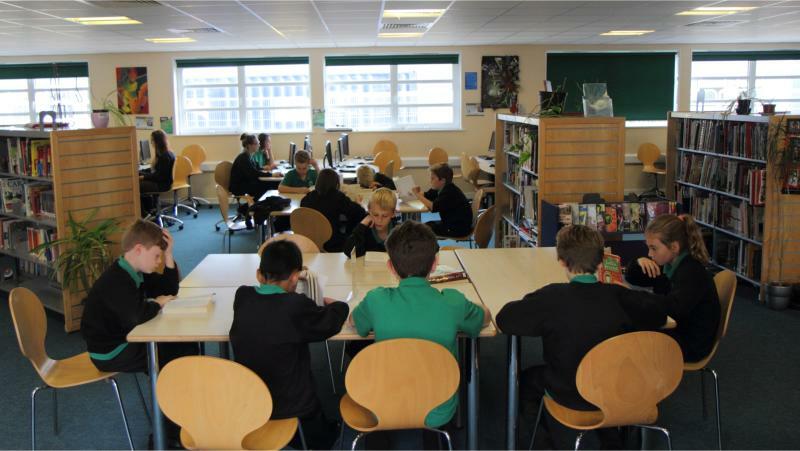 The Library at Heathfield Community College is a bright, positive and friendly place that all students can use. It is fantastically well-resourced with literally, 1000s of books available! We encourage all students to visit the library regularly, whether as a place to relax with a book or somewhere to complete homework and private study. It contains 30 computers, enough for whole classes to use as well as giving students an opportunity to complete work during break, lunch and after-school. There is a large selection of fiction books, for students of all ages and reading abilities, and every year the books are updated with new, high-quality fiction for teenagers, all carefully selected by our expert Librarian and student-librarians. There are books specifically aimed at years 7 and 8 that are grouped according to their genre, in order to help students to choose their own reading book. More challenging texts are available for Key Stage 4 and 5 students. The Library takes part in the annual Southern Schools Book Awards. This is where students from years 8, 9, and 10 read 5 recommended books, write reviews, discuss them and vote on their favourite book. Twenty-eight schools take part in this event and it all ends with a large presentation evening at Roedean School, where the students can meet the winning authors, ask them questions and get their books signed.